Fairway have a dedicated Interiors division which provides a complete service. From just a single desk to major installations of 100 workstations plus. We can deliver best value, quality furniture with free space planning and remove old furniture in one easy process. Via our showrooms, offices and warehouse we source competitively priced solutions for our clients, ensuring the best results for each individual project, whether a single item, a refurbishment, or a complete relocation. Local vans cover Bridgwater, Taunton, Exeter, Yeovil, Street, Shepton Mallet. National service also available. From initial consultation through free space planning and project management we pride ourselves on providing an on time, reliable installation for every order. Our team of experienced and knowledgeable staff are focused on attention to customer detail and look forward to discussing your specific requirements. Contact us today to arrange a discussion, meeting or showroom visit. Ordering office furniture can be a complex and daunting task. 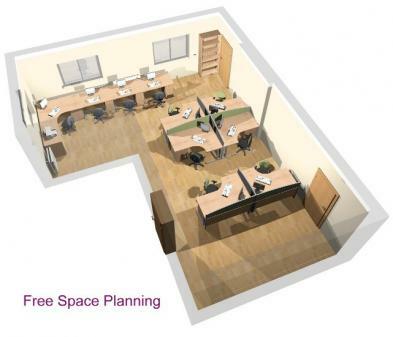 The many sizes, colours and shapes available can mean it is easy to get a space plan wrong. Give us a call now for some friendly help and advice. Be sure to check out our office furniture recycling program which can help you responsibly dispose of any unwanted used furniture without adding to landfill. 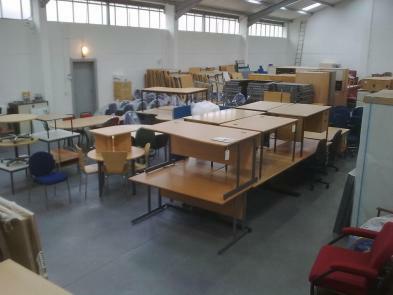 Buying new office furniture is so much easier now we can help you get rid of the old. Fairway Combi Deal, the best value for money workstation you can buy in the UK today. plus VAT (rrp £659.00) Yes it includes the drawer Pedestal ! Price for 5 units or more to TA, EX and BS postcodes. For all other areas please call - It will still be a great deal. Pedestal has smooth metal runners and is locking. Beech, Maple or Oak finish. We deliver, assemble, remove the packaging and position to a clear area - so you don't have to. Running out of space or moving? Here are some remarks from recent genuine customers! "Fairway arrived early on the arranged delivery day, removed 20 large curved desks for recycling and fitted 28 new rectangles to the same area, cleaned up and finished just after lunch. We got a certificate of responsible disposal and it was all done in a morning. A fantastic service and the most competitive quote!" Our purchasing power and experience together with our recycling facility mean that our offer will beat any other. We are confident of this and invite you to test us. 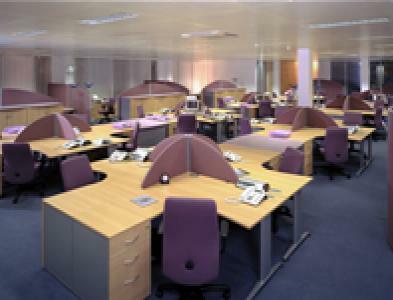 If you have a quote for new office furniture - let us beat it and do a better job. If you find the same furniture cheaper elsewhere - we will refund the difference so long as the service, delivery and assembly is the same. Call now to save money, time and trouble with your project. You only have one chance to bring your project together on time, our experience and attention to detail will really help.